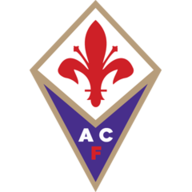 Match ends, Fiorentina 2, Dynamo Kyiv 0. Second Half ends, Fiorentina 2, Dynamo Kyiv 0. Goal! Fiorentina 2, Dynamo Kyiv 0. Juan Vargas (Fiorentina) left footed shot from a difficult angle on the left to the top right corner. Assisted by Matías Fernández with a headed pass. Attempt blocked. Andriy Yarmolenko (Dynamo Kyiv) right footed shot from the right side of the box is blocked. Mario Gomez (Fiorentina) wins a free kick in the defensive half. Marcos Alonso (Fiorentina) wins a free kick on the left wing. Foul by Andriy Yarmolenko (Dynamo Kyiv). Substitution, Fiorentina. Juan Vargas replaces Mohamed Salah. Corner, Dynamo Kyiv. Conceded by Gonzalo Rodríguez. Attempt saved. Serhiy Rybalka (Dynamo Kyiv) left footed shot from outside the box is saved in the bottom left corner. Substitution, Fiorentina. Alberto Aquilani replaces David Pizarro. Hand ball by Andriy Yarmolenko (Dynamo Kyiv). Attempt missed. Marcos Alonso (Fiorentina) left footed shot from outside the box misses to the right. Assisted by Matías Fernández following a corner. Corner, Fiorentina. Conceded by Domagoj Vida. David Pizarro (Fiorentina) wins a free kick in the attacking half. Foul by Serhiy Rybalka (Dynamo Kyiv). Attempt blocked. Milan Badelj (Fiorentina) right footed shot from outside the box is blocked. Assisted by Joaquín. Substitution, Fiorentina. Milan Badelj replaces Borja Valero. Foul by Marcos Alonso (Fiorentina). Attempt blocked. David Pizarro (Fiorentina) right footed shot from outside the box is blocked. Assisted by Borja Valero. Foul by Nenad Tomovic (Fiorentina). Oleg Gusev (Dynamo Kyiv) wins a free kick in the defensive half. Attempt missed. Borja Valero (Fiorentina) right footed shot from outside the box misses to the left. Assisted by Joaquín. Substitution, Dynamo Kyiv. Sergiy Sydorchuk replaces Vitaliy Buyalsky. Offside, Fiorentina. Borja Valero tries a through ball, but Mohamed Salah is caught offside. Attempt missed. Joaquín (Fiorentina) left footed shot from the centre of the box is close, but misses to the left. Assisted by Matías Fernández with a cross. Attempt blocked. Borja Valero (Fiorentina) right footed shot from outside the box is blocked. Assisted by Matías Fernández. David Pizarro (Fiorentina) wins a free kick in the defensive half. Foul by Vitaliy Buyalsky (Dynamo Kyiv). Substitution, Dynamo Kyiv. Vladyslav Kalitvintsev replaces Younès Belhanda. Delay in match Marcos Alonso (Fiorentina) because of an injury. Delay in match Domagoj Vida (Dynamo Kyiv) because of an injury. Vitaliy Buyalsky (Dynamo Kyiv) wins a free kick in the attacking half. Attempt missed. Matías Fernández (Fiorentina) right footed shot from the centre of the box is close, but misses to the right. Foul by Younès Belhanda (Dynamo Kyiv). Foul by Mohamed Salah (Fiorentina). Vitorino Antunes (Dynamo Kyiv) wins a free kick in the defensive half. Attempt missed. Borja Valero (Fiorentina) left footed shot from the centre of the box misses to the left. Assisted by Mohamed Salah. Offside, Dynamo Kyiv. Vitorino Antunes tries a through ball, but Oleg Gusev is caught offside. Attempt missed. Joaquín (Fiorentina) right footed shot from outside the box is high and wide to the right. Assisted by Marcos Alonso. Attempt blocked. Mohamed Salah (Fiorentina) left footed shot from a difficult angle on the right is blocked. Assisted by Matías Fernández. Offside, Fiorentina. Marcos Alonso tries a through ball, but Joaquín is caught offside. 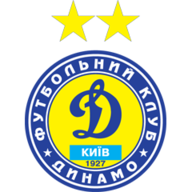 Second Half begins Fiorentina 1, Dynamo Kyiv 0. First Half ends, Fiorentina 1, Dynamo Kyiv 0. Substitution, Dynamo Kyiv. Oleg Gusev replaces Lukasz Teodorczyk. Attempt missed. Nenad Tomovic (Fiorentina) right footed shot from the right side of the box is close, but misses to the left. Assisted by Mohamed Salah. Foul by Matías Fernández (Fiorentina). Goal! Fiorentina 1, Dynamo Kyiv 0. Mario Gomez (Fiorentina) right footed shot from the centre of the box to the bottom left corner. Assisted by Joaquín with a cross. Lukasz Teodorczyk (Dynamo Kyiv) wins a free kick in the defensive half. Second yellow card to Jeremain Lens (Dynamo Kyiv). Jeremain Lens (Dynamo Kyiv) has gone down, but that's a dive. Attempt saved. Stefan Savic (Fiorentina) right footed shot from the centre of the box is saved in the bottom right corner. Assisted by David Pizarro with a cross. Corner, Fiorentina. Conceded by Vitorino Antunes. Nenad Tomovic (Fiorentina) wins a free kick in the defensive half. Offside, Fiorentina. Stefan Savic tries a through ball, but Joaquín is caught offside. Joaquín (Fiorentina) wins a free kick in the defensive half. Attempt missed. Andriy Yarmolenko (Dynamo Kyiv) right footed shot from outside the box misses to the left. Assisted by Younès Belhanda. Joaquín (Fiorentina) wins a free kick in the attacking half. Hand ball by Matías Fernández (Fiorentina). Attempt missed. Mario Gomez (Fiorentina) header from very close range misses to the right. Assisted by Joaquín with a cross. Attempt blocked. David Pizarro (Fiorentina) right footed shot from the left side of the box is blocked. Assisted by Joaquín. Corner, Fiorentina. Conceded by Oleksandr Shovkovskiy. Attempt saved. Mario Gomez (Fiorentina) left footed shot from the centre of the box is saved in the top centre of the goal. Assisted by Matías Fernández. Mohamed Salah (Fiorentina) wins a free kick in the defensive half. Attempt missed. Marcos Alonso (Fiorentina) right footed shot from the left side of the box is high and wide to the right. Assisted by Joaquín. Jeremain Lens (Dynamo Kyiv) is shown the yellow card for a bad foul. Matías Fernández (Fiorentina) wins a free kick on the right wing. Foul by Jeremain Lens (Dynamo Kyiv). Foul by David Pizarro (Fiorentina). Vitaliy Buyalsky (Dynamo Kyiv) wins a free kick in the defensive half. Attempt blocked. Gonzalo Rodríguez (Fiorentina) left footed shot from the centre of the box is blocked. Attempt blocked. Mohamed Salah (Fiorentina) left footed shot from the centre of the box is blocked. Assisted by Gonzalo Rodríguez. Corner, Fiorentina. Conceded by Danilo Silva. Attempt blocked. Borja Valero (Fiorentina) right footed shot from outside the box is blocked. Assisted by Joaquín. Marcos Alonso (Fiorentina) hits the bar with a left footed shot from the left side of the box. Assisted by Joaquín. Attempt saved. Mohamed Salah (Fiorentina) left footed shot from the centre of the box is saved in the bottom left corner. Assisted by Matías Fernández. Serhiy Rybalka (Dynamo Kyiv) wins a free kick on the right wing. Offside, Fiorentina. Borja Valero tries a through ball, but Mario Gomez is caught offside. Attempt saved. Borja Valero (Fiorentina) right footed shot from outside the box is saved in the bottom left corner. Assisted by Joaquín.